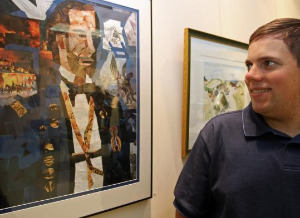 DRAWING AUTISM: John M. Williams, a Winchester artist who specializes in fine art collage, is featured in a new book about artists with autism. “Drawing Autism’’ celebrates the artistry and self-expression found in drawings, paintings, and collages created by people with autism. It was written by behavior analyst and educator Jim Mullin, with an introduction by Temple Grandin, a well-known author and speaker with autism. Read full article.